The first thing you need to know about wool is that if you get it wet with hot water it will shrink and turn into felt. This action is irreversible. 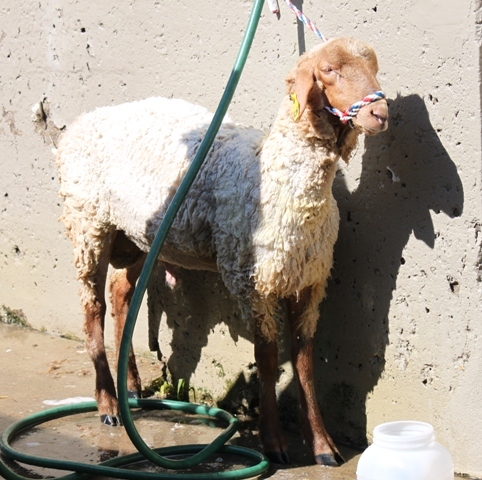 And thankfully this sheep was washed in cold water. 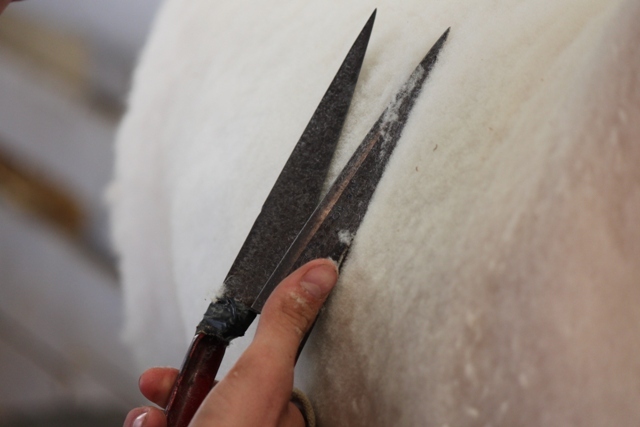 Although a good washing will take out most of the yellowing of the wool from the lanolin, the rest will be cut and sheared off to reveal a beautiful white woolen coat. 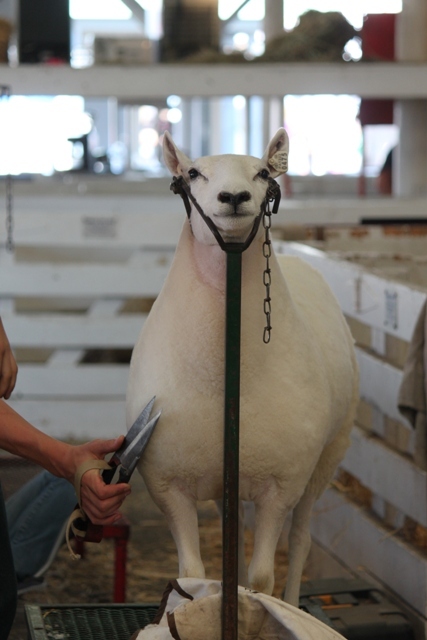 This sheep was groomed and sheared three times before he was shown in the ring. 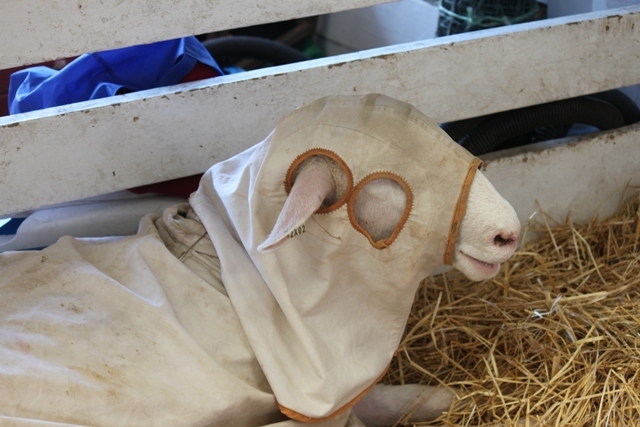 And then just make sure he stayed nice and clean he had the wool pulled over his eyes. Just kidding – it was cotton!